Memories came rushing to my mind when reading the news on Sunday about the passing of Jimmy “Superfly” Snuka, memories that paint two different pictures of a wrestling icon that left his mark on the sport like a flying splash from the top rope. Back in December, Snuka was diagnosed with stomach cancer and was given six months to live. Born James Wiley Smith, he died yesterday at the age of 73. Anyone who grew up watching WWF (now WWE) as a kid in the 80s vividly recalls those Superfly Splashes and also the WWE Hall of Famer taking a coconut to the side of the head from “Rowdy” Roddy Piper during an episode of Piper’s Pit in 1984. It was a segment that forever bonded the two men who also shared the squared circle during the heyday of Portland Wrestling in the Northwest territory. Yet while Piper’s passing in July 2015 of cardiac arrest was more shocking, it also lacked the media frenzy that’s surrounded Snuka these past two years and that’s what makes his death a mystery in some ways and more blurred. Just under a week ago, a Lehigh County, Pennsylvania, judge dropped third-degree murder and involuntary manslaughter charges against Snuka in the death of his ex-girlfriend, Nancy Argentino, in 1983, after determining he was incompetent to stand trial due to being diagnosed with dementia. Those details also play a part in Snuka being one of more than 50 former wrestlers named as plaintiffs during a lawsuit against the WWE filed last July. The wrestlers claim long-term brain damage incurred during their careers with WWE. 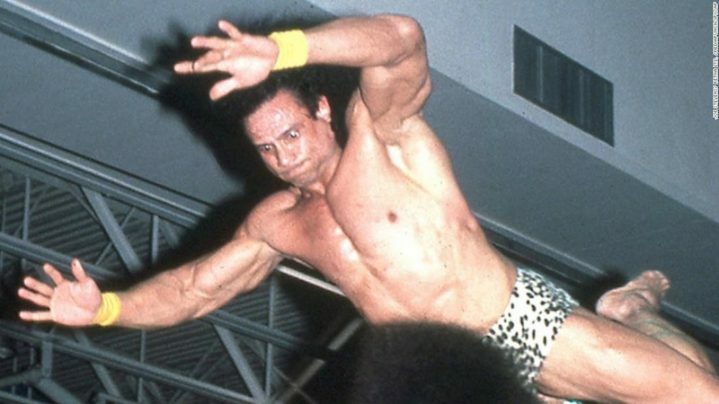 The passing of Superfly Snuka closes another chapter in Portland Wrestling on a promotion that helped launch his legendary career into the WWF. After Snuka began his pro wrestling career in 1970 in the South Pacific as a heel, the Fiji native traveled to Portland to wrestle for Don Owen’s promotion of the NWA Pacific Northwest and transformed into a fan favorite at the Portland Sports Arena. And what a splash the shoeless Snuka made thanks to his soaring style, flashy colored floral prints and “I love you” hand sign before his trademark finish: 6-time heavyweight champion, 6-time tag team champ and the start of memorable feuds in the territories with Roddy Piper and Jesse “The Body” Ventura (whom Snuka also tagged with in Portland) that carried over to the WWF and eventually made all three men household names, with Snuka making his WWF debut in 1983. That was the same year Snuka defeated “The Magnificent” Don Muraco in a steel cage match by climbing to the top of the cage and landing his signature splash. While both Piper and Ventura were both legendary workers on the mic in Portland and the WWF, Snuka was the island warrior who was a man of few words but always delivered a huge pop (ovation) as one of the original high-flyers in the business. May Superfly rest in peace.